The weekend is finally here, which means it’s time to let loose. 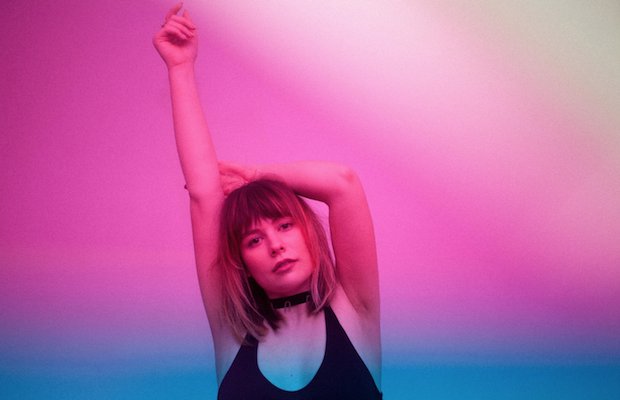 Local music community PØPSQUAD is bringing local pop queen Daniella Mason out to The High Watt tonight, April 14 for a night of killer music from three badass female artists. She’ll be playing plenty of cuts from her latest EP Technicolour after fellow local indie pop acts EZA and Jessie Early kick things off with a bang. Tickets are still available for this impressive lineup here, so grab yours and read on for all the details! Born in Dallas, Texas, Nashville-based pop artist Daniella Mason has evolved a childhood love of music into an already impressive career. In her teens, she began writing and recording her own tracks and evolved her sound from traditional acoustic singer-songwriter fare to energetic and fun pop tunes. After releasing tracks via her own independent label, she attracted the attention of Demi Lovato, who praised her music on Twitter. Soon after, Mason locked a slot opening for Lovato, bringing her music to a massive new fanbase. She earned even more exposure after she co-wrote “When We Get Home,” a track on Nick Jonas’ latest record. After years of honing her own sound, she inked a record deal with Warner Bros. Last year, she released her LP Technicolour, which is filled with cleverly crafted and impressive pop songs. She’ll bring all of those killer tracks and her stadium-ready stage show to The High Watt later this month. If you love hypnotic but substantial pop songs, get ready for fall in love with Mason’s enchanting sound. We’ve been fans of Ellery Bonham, a.k.a. EZA, since the release of “High & Low” back in 2014. Since then, she’s released a stream of stellar pop tunes, including last year’s summer jam “Off The Record” and a soaring cover of Cam’s country crossover hit “Burning House” with Aaron Krause. Her latest EP, Dead Reckoning, showcases some huge talent for a 21-year-old artist. It’s safe to say she has a long career ahead of her, so take this opportunity to cement your bragging rights of seeing her in the early days. You won’t regret it. It’s a great time to catch a live show from blossoming local pop artist Jessie Early. She just released a new EP, Wild Honey, at the end of March. The release is full of gems, including her infectious ’80s-inspired track “Holy Ghost” that we exclusively premiered back in February. Give her new release a few spins and get there early to see her for yourself. Daniella Mason, EZA, and Jessie Early will perform tonight, April 14 at The High Watt. The show is 18+, begins at 9 p.m. (doors at 8 p.m.), and tickets are available to purchase for $12. Catch Tristen, The Saint Johns, & More at Communion | TONIGHT @ The High Watt!